We specialize in Windshield Repair. Not sure if you need windshield repair? As a rule of thumb, if you can cover the damaged area with a quarter it should be repairable. When a windshield or other auto glass is damaged it is not always necessary to completely replace the entire windshield. Stone chips in a windshield can be repaired in most cases. 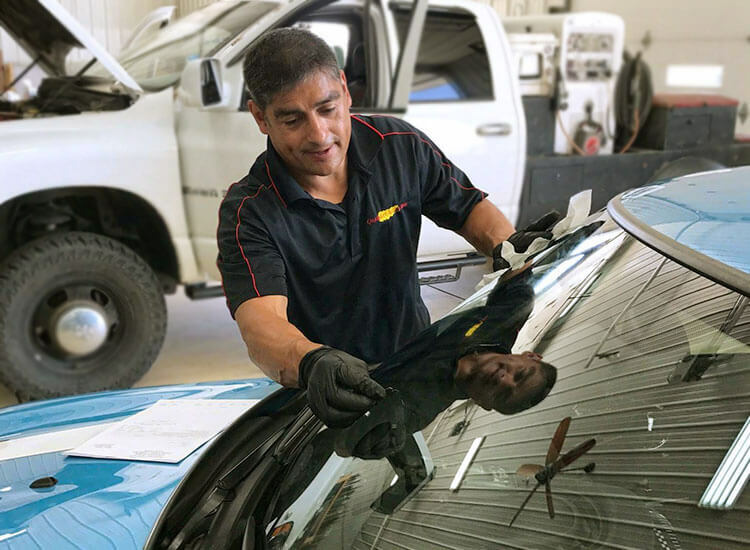 At Quick-Set Auto Glass our expertly trained staff will be happy to assist you with determining whether your glass can be repaired or if replacement is your only option. In doing so, we promise to make your safety the number one priority and will gladly provide you with our professional opinion best suited to your need. Quick-Set Auto Glass has a staff of certified technicians that are both friendly and knowledgeable. We can guarantee a perfect fit every time one of our technicians is on the job. We maintain a high standard of quality and customer satisfaction. Your satisfaction is our highest priority. We strive to provide the highest level of service to both our individual customers and our fleet & corporate glass customers. If you’re not happy with the job that was done, please let us know. We’ll be sure to make it right. We provide a limited lifetime warranty to the original vehicle owner on new auto glass installations, covering our workmanship and materials. Any problems caused by our glass installation error such as air or water leaks, loose moldings or manufacturer defects, such as stress cracks or lamination distortion, will be repaired at no cost to the consumer. THIS LIMITED WARRANTY DOES NOT COVER leakage or stress cracks caused by pre-existing rust, structural damage, owner negligence, damage caused by vandalism, or impact with foreign objects.